To honor the memory of Dr. Eleanor E. Kemp, a dedicated teacher in the Department of Psychology for many years, a fund was established to encourage and support undergraduate research projects in psychology and psychology-related topics at Radford University. 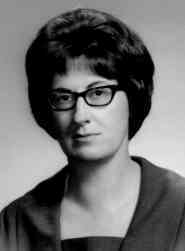 To honor the memory of Dr. Eleanor E. Kemp, a dedicated teacher in the Department of Psychology for many years, a fund was established by Dr. Marie Waters, now Professor Emeritus in the Department of Psychology at Radford University. 1. Applicants must be undergraduate or graduate students conducting a research project under the supervision of one or more faculty members at Radford University. 2. The proposed project must show promise of either publication or presentation at a professional meeting, and the student must show evidence of pursuing publication and/or presentation opportunities. 3. Since Dr. Kemp’s own field of expertise was experimental social psychology, special, but not exclusive, emphasis will be given to projects in experimental social psychology and/or with a focus on gender or women. 4. Awards may range from $25 to $250, and are made in recognition of excellence in a research proposal. Top priority will be given to help defray research expenditures although expenses involved in travel to a professional meeting for presentation will also be considered. If monies are to be used for travel, we request that you provide documentation that you will also try to secure funding through the Graduate College or through the Office of Undergraduate Research and Scholarship (OURS). 5. Award decisions will be made by a committee constituted by the Center for Gender Studies, and will be announced within 2 weeks after submission deadlines*. Applications for monies to be used during the Fall 2018 or Spring 2019 semester must be submitted by October 1st, at 5:00 p.m. If funding remains after the first round has been distributed, a second call for applications will be made for monies to be used during the Spring or Summer semesters. Individuals who received monies in the first round will not be eligible for funding if there is a second round. Interested students are invited to apply!